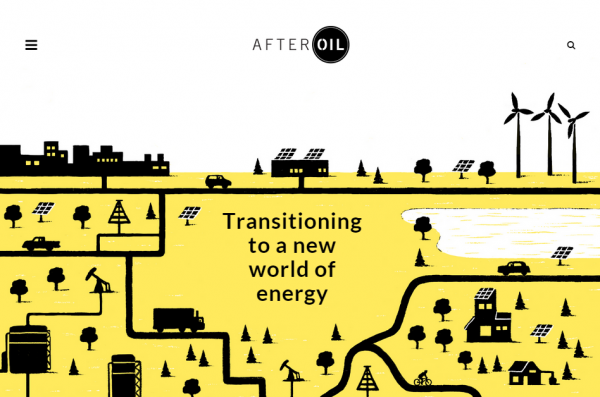 After Oil: Explorations and Experiments in the Future of Energy, Culture and Society” is a collaborative, interdisciplinary research partnership designed to explore, critically and creatively, the social, cultural and political changes necessary to facilitate a full-scale transition from fossil fuels to new forms of energy. A foundational premise underpins the research and research-creation envisioned in “After Oil”: that energy is crucial in determining how we live. The energy forms in any one era fundamentally shape the attributes and capabilities of societies in that era. Accordingly, a genuine and comprehensive shift in energy today demands, in addition to the adoption of renewable, ecologically sustainable energy sources, a wholesale transformation in contemporary petroculture: those political structures, built environments, social dynamics, educational systems, discursive modes, values, practices, habits, beliefs and affects that, seeming unrelated to energy, exist as they do because of the shaping force of oil.